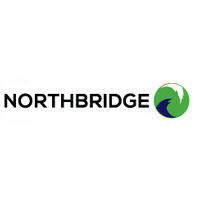 The trading price for Northbridge Industrial Services Plc ticker code: LON:NBI has stepped up 4.62% or 5.2 points during the course of today’s session so far. Buyers have stayed positive during this period. The high for the period has peaked at 117.7 and a low of 115.15. The total volume traded so far comes to 12,547 with the daily average at 7,311. The 52 week high for the shares is 154 some 41.5 points difference from the previous days close and putting the 52 week low at 105.84 a difference of some 6.66 points. Market capitalisation is now £32.84m at the time of this report. The currency for this stock is GBX. Market cap is measured in GBP. This article was written with the last trade for Northbridge Industrial Services Plc being recorded at Tuesday, February 5, 2019 at 10:58:21 AM GMT with the stock price trading at 117.7 GBX. The stock price for Admiral Group plc EPIC code: LON:ADM has stepped up 1.14% or 24 points during the course of today’s session so far. Traders have remained positive throughout the session. Range high for the period has seen 2145 dropping as low as 2113. The total volume of shares exchanged through this period comes to 71,834 whilst the daily average number of shares exchanged is just 532,891. The stock 52 week high is 2145 around 31 points difference from the previous days close and the 52 week low at 1794.5 is a variance of 319.5 points. This puts the market cap at £6,210.95m at the time of this report. Share price is traded in GBX. Mcap is measured in GBP. This article was written with the last trade for Admiral Group plc being recorded at Monday, February 4, 2019 at 12:21:38 PM GMT with the stock price trading at 2138 GBX. The trading price for Compass Group plc found using EPIC: LON:CPG has moved up 1.19% or 19.5 points in today’s trading session so far. Market buyers seem confident throughout the trading session. The high for the period has peaked at 1653.5 and a low of 1630.5. The total volume of shares exchanged through this period comes to 757,407 with the average number of shares traded daily being 3,478,437. The 52 week high for the share price is 1722 which is 90 points in difference to the previous days close of business and a 52 week low sitting at 1396.5 which is a difference of 235.5 points. Market capitalisation is now £26,186.04m at the time of this report. The share price is in GBX. Mcap is measured in GBP. This article was written with the last trade for Compass Group plc being recorded at Monday, February 4, 2019 at 12:17:57 PM GMT with the stock price trading at 1651.5 GBX. Shares of Halma plc with ticker code: LON:HLMA has risen 1.48% or 21 points during today’s session so far. Buyers have so far held a positive outlook throughout the session. Range high for the period so far is 1452 dropping as low as 1421. The amount of shares exchanged has so far reached 362,503 while the average shares exchanged is 1,054,356. The 52 week high is 1507.97 some 85.97 points difference from the previous days close and putting the 52 week low at 1136 is a variance of 286 points. The market cap now stands at £5,474.49m at the time of this report. The share price is in GBX. Mcap is measured in GBP. This article was written with the last trade for Halma plc being recorded at Monday, February 4, 2019 at 12:18:54 PM GMT with the stock price trading at 1443 GBX. Stock in Intertek Group plc found using EPIC: LON:ITRK has climbed 1.64% or 80 points in today’s trading session so far. Market buyers are a positive bunch while the stock has been in play. Range high for the period has seen 4961 and a low of 4874. The volume total for shares traded up to this point was 37,658 whilst the average number of shares exchanged is 394,551. The stock 52 week high is 6084 about 1206 points difference from the previous close and the 52 week low at 4323 which is a variance of 555 points. The current market cap is £8,008.33m at the time of this report. The currency for this stock is Great British pence.Market cap is measured in GBP. This article was written with the last trade for Intertek Group plc being recorded at Monday, February 4, 2019 at 12:14:47 PM GMT with the stock price trading at 4958 GBX. Shares of Marks and Spencer Group Plc EPIC code: LON:MKS has gained 2.38% or 6.9 points in today’s trading session so far. Buyers have stayed positive throughout the session. The periods high has reached 298.7 meanwhile the session low reached 288.67. The number of shares traded by this point in time totalled 2,495,688 with the daily average number around 7,240,678. The stock 52 week high is 316.6 around 26.2 points different to the previous business close and a 52 week low sitting at 240 is a variance of 50.4 points. The current market cap is £4,831.01m at the time of this report. The share price is in GBX. Mcap is measured in GBP. This article was written with the last trade for Marks and Spencer Group Plc being recorded at Tuesday, February 5, 2019 at 12:02:55 PM GMT with the stock price trading at 297.3 GBX. Click ADM CPG HLMA ITRK MKS NBI for the full archive.